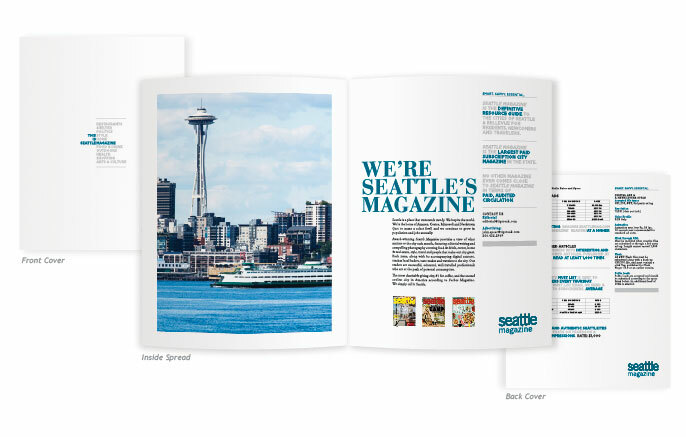 Those lovely magazine publishers at Tiger Oak Media had the sudden realization that their Seattle Magazine Media Kit left a bit to be desired, and reached out to us for a redesign. We had a blast leveraging snaps form their gorgeous image catalog and making all the facts and figures that they collect jump right off the page. Here’s a little taste of the new and improved Media Kit for your review…pretty darned pretty, don’t you think?